A destination wedding at Jolly Beach Resort & Spa is an affordable alternative for couples who want to rein in costs. The resort has announced that their Dream Wedding Package price will remain at $699.00 through 2010. The popular package includes everything from a wedding cake to legal fees and the personal attention of the resort's wedding coordinators. 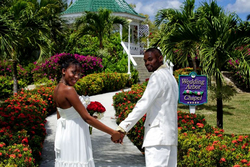 A Dream Wedding at Jolly Beach Resort & Spa is just $699.00. Weddings on a budget don't have to be budget weddings. The cost of the perfect Caribbean Dream Wedding Package at Jolly Beach Resort & Spa, Antigua's best all-inclusive value, is just $699.00. And that price will remain in effect for brides planning 2010 nuptials. The Jolly Beach Resort & Spa Dream Wedding Package includes all of the traditional wedding trimmings -- with a tropical flare. The bride is accessorized with a seasonal bridal bouquet and there's a boutonnière for the groom. A reception for four follows the ceremony, there's a one-tier wedding cake with topper, a bottle of sparkling wine and fruit juice to toast the newlyweds, and a tray of hors d'oeuvres. A marriage officer performs the ceremony and if a couple should need witnesses to stand up with them, that's included too. 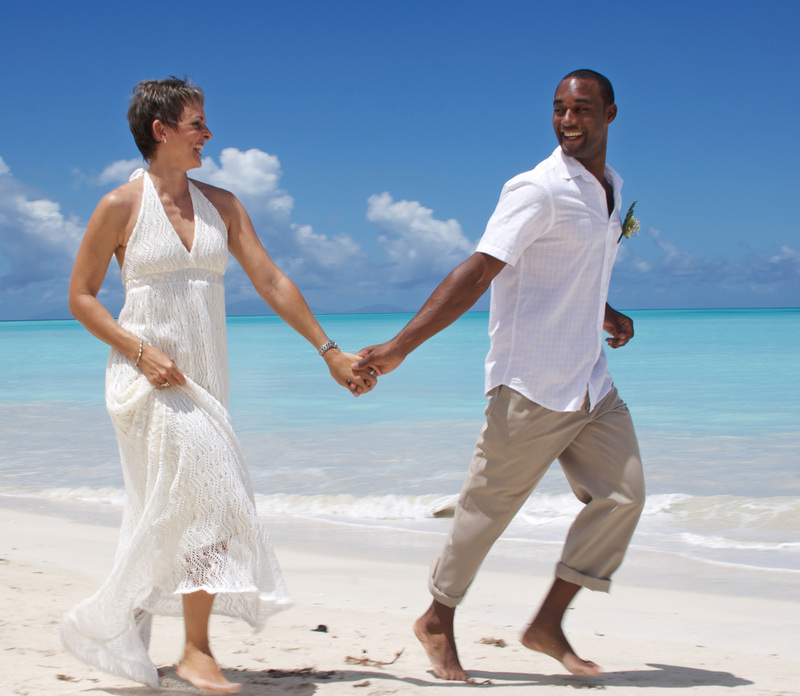 Worried about residency requirements for a destination wedding? Antigua has been called the Las Vegas of the Caribbean because there is no residency requirement to get married. The resort's wedding staff will help get everything in order, they just need a day to take care of your paperwork, and the cost of the marriage license, certificate, legal fees -- even a round-trip taxi to the Ministry of Justice -- is all included. Brides will always feel special and never part of a crowd at Jolly Beach Resort & Spa because the maximum number of weddings scheduled per day is two. The resort's wedding coordinators love weddings and their planning skills and individual attention are included for each and every bridal couple getting married or renewing their vows at Jolly Beach Resort & Spa. There is one important decision to be made by couples: Where on our 40-acre property is their dream wedding ceremony going to take place? In addition to our white-sand beachfront, there are two wedding gazebos and lush gardens from which to choose. The bride and groom also receive congratulatory extras on behalf of the resort and staff starting with a continental breakfast served in-room the morning after the ceremony, a bottle of wine and intimate dinner for two on the beach. Newlyweds also receive a $40 spa credit for a Couples Massage at the Palms Wellness Centre, souvenir mugs and shirts, ten email announcements and a $50 credit for a Wadadli Cats catamaran cruise. The Dream Wedding Package is free with a booking of 6 rooms for stays of 7-nights, if family and friends come along. All-inclusive rates at Jolly Beach Resort & Spa start at $133.50 per person, per night based on double occupancy for a Standard Room when booked by August 31, 2009 for travel through December 20, 2009. For more information about planning an all-inclusive Dream Wedding at Jolly Beach Resort & Spa visit http://www.jollybeachresort.com or call the resort toll free at 1-866-905-6559. The all-inclusive, 464-room Jolly Beach is an exceptional Caribbean experience. The resort offers great year-round value and is popular for destination weddings, honeymooners and families. All-inclusive rates include accommodations, all government taxes and service charges, all meals, snacks and afternoon tea, house brand beverages, non-motorized watersports, activities, Jolly Kidz and Teenz Clubs, Think Jolly Family Program, use of the gym and entertainment. All rooms are air-conditioned and face the ocean; each has a patio or balcony, direct-dial phone, cable TV, and hair-dryer. Jolly Beach Resort & Spa, Antigua A beach wedding at Jolly Beach Resort & Spa is just $699.00.JBR wedding couple on the beach A Dream Wedding at Jolly Beach Resort & Spa is just $699.00.JBR wedding couple on gazebo steps Say "I Do" at Jolly Beach Resort & Spa.